To everyone in the haunted house industry check out this video... 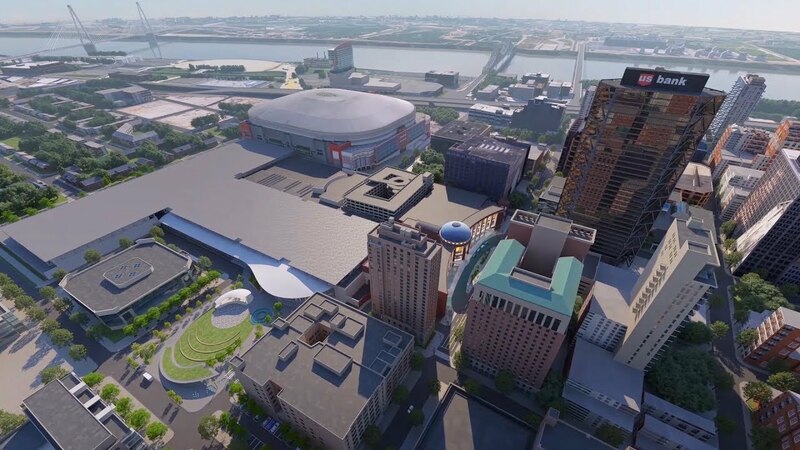 The St Louis Convention Center is undergoing a 175 million dollar renovation. They adding ballrooms, more convention space, parking garage new load in area's and more. Watch the video below. How can a man die better than facing fearful odds, for the ashes of his fathers and the temple of his gods. What you put into your mind- you put into your life. I think they're building a new parking lot which will be connected to the convention center. So the parking will be better than ever. I just joined the forums and blasting thru all the threads I wanted to comment on. I wonder if this renovation will matter if the show ever moves. If the show stays I'm hoping to see these renovations quickly that convention center needs a face lift. Do you know a timeframe to get this done? I have no idea actually. I really don't. I'm not sure they have the money in hand or not. I'll find out.